SASS unveiled today the all new SASS Wild Bunch Action Shooting Web Site. 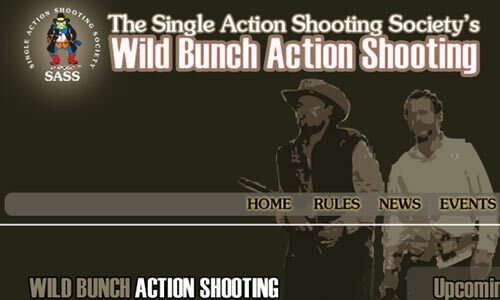 The site is dedicated to SASS Wild Bunch Action Shooting. The hottest game in town. It has up to date information on SASS sanctioned Wild Bunch matches, the latest rules and information on the game in general. The site can be reached in two different ways. First by going to the SASS Home Page and clicking the link for SASS Wild Bunch Shooting on the left navigation bar or by simply going to www.wildbunch.net.